Paul Pogba and Marcus Rashford extended their impressive recent form in front of goal. Ole Gunnar Solskjaer moved one win away from the most successful start to a managerial campaign in Premier League history as his Manchester United side edged past Brighton for a sixth successive league win. Both teams were due to go into the contest unchanged from their fixtures last weekend but Luke Shaw was taken ill just before kick-off, handing Diogo Dalot a start at left-back. 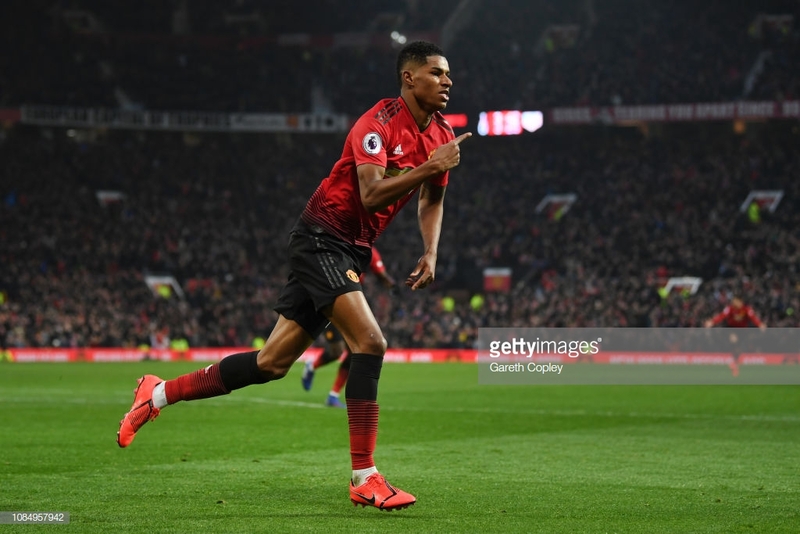 Marcus Rashford became the fourth youngest United player in history to make his 150th appearance, behind the prestigious names of Norman Whiteside, George Best and Ryan Giggs. The 21-year old had contributed to ten goals in his last nine appearances, boasting some of the best form in the league alongside Paul Pogba who went into the match with four goals and four assists to his name since Solskjaer arrived. The pair were looking to combine again for a seventh successive victory under the Norwegian. 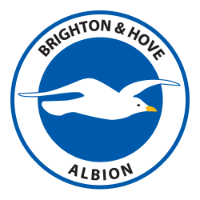 In contrast, Brighton's top goalscorer, Glenn Murray, was looking to overcome a run of seven league games without scoring, his longest dry spell in the Premier League for the Seagulls. Albion failed to manufacture a single shot on target against Liverpool in their defeat last time out and were aiming to acquire their first point on the road against a 'big six' team since their promotion in 2017. United had sparked a surprise at Spurs last weekend when Jesse Lingard took up a 'false nine' position but Rashford started this contest in a central position as United opted for a more traditional 4-2-3-1 formation. The hosts had plenty of the ball from the opening stages and Dalot had the first shot of note on three minutes when his strike from distance was deflected wide. Yet Brighton started to settle with Pascal Gross, who has been largely ineffective throughout the first half of the campaign, looking to dictate play from midfield. The playmaker worked an opening for Jurgen Locadia but he could only stroke a shot straight at David De Gea, fresh from making 11 saves at Spurs. Down at the other end, United were finding space between the lines and Pogba saw an opportunity to drive forward before slashing a wild effort high and wide. Victor Lindelof then failed to connect firmly with an Ashley Young corner as he glanced his header wide. Yet the visitors were certainly here to compete with the league's form side. Persistent play from Gaeton Bong won a corner before Gross picked out Shane Duffy who headed straight at De Gea under pressure. Despite a relatively strong start, Brighton started to become sloppy in defence. The Seagulls failed to clear a weak Young cross before Rashford saw his resulting effort blocked by Duffy in front of his goalkeeper. Moments later, another poor hack away fell to Pogba whose overhead kick was deflected just wide, before Rashford curled over a well-worked short corner. The visitors were soon made to pay for dropping deeper defensively. Pogba took a long ball down from Nemanja Matic before cutting inside Bong, only for the left-back to barge him over in the penalty area. The Frenchman picked himself up, reverted to his infamous penalty trot and then slotted past David Button to continue his impressive form in front of goal. Brighton did issue a response as they pushed United back with a couple of dangerous crosses but a dragged effort from Murray was the best they could conjure. Lindelof then picked out Martial with a straight long ball only for the winger to be thwarted by the onrushing Button. Yet Albion had a great chance to equalise just moments later. Solly March prodded a ball through to Murray who lashed his effort way wide when he should have at least tested De Gea. Set-pieces were also looking opportune for the visitors and Duffy met another free-kick but headed straight at the Spaniard. United were to immediately take advantage. Dalot made progress down the left before laying the ball to Rashford. The striker turned Gross and curled a delightful effort into the top corner from an angle. A reminder that he has a better strike rate than a certain Cristiano Ronaldo had at this point in his career. Rashford had his eyes set on more goals straight after the break. The striker whipped a free-kick just over from the corner of the box. He was then just inches away from picking out Lingard with a cross from the same position in open play. Feeding off the confidence of those around him, Anthony Martial started to take the game to Brighton. Just after he almost picked a way through the visiting defence, he went on another darting run before his rasping effort from range clipped the crossbar. Minutes later, Pogba curled over from just inside the box when he wriggled away from the blue and white shirts around him. Chris Hughton realised the need to change something and made a double substitution on the hour mark as Florin Andone and Anthony Knockaert replaced Murray and March. They were almost back in the game just before the changes but Lewis Dunk could only fire at the side-netting when the ball dropped to him from a long free-kick. Lindelof had missed a good opportunity from a corner in the first half and did the same midway through the second. Young picked out the Swede but again he headed off-target. The game appeared to settle down with United looking to control the tempo. Ander Herrera slipped a weak effort into the hands of Button before Brighton gave themselves a lifeline. Davy Propper picked out Gross with the outside of his boot and the midfielder poked in just his second goal of the season. Game on. The home side had become sluggish and Brighton were starting to enjoy prolonged spells of possession. Even the introduction of Romelu Lukaku couldn't help the ball stick for United as a tense atmosphere swept across Old Trafford. Pogba did had an opportunity to calm the nerves but fired just wide after a strong burst forward. Numerous passes went astray and United's back four looked nervy but the home side were able to hold on for another important three points in their pursuit of the top four positions. When they are in the mood, United's front four are almost unstoppable. The interchanges and understanding cause them to be particularly effective between the lines. And Rashford's finish was one of a man who is on top of his game...it is easy to forget he is only 21. Phil Jones and Lindelof were aiming for a third successive clean sheet as a pairing but were all at sea for Gross' strike. The United back four still look shaky and there were times when a more talented side would have opened them up. The strength of Murray also caused a few problems. Captain Young is an interesting talking point at right-back. There are occasions when he shows he is not a defender, either through poor clearances or being caught out of position. Yet his energy is incredible and he is always an outlet for United. If his delivery had of been better, United could have scored five or six.